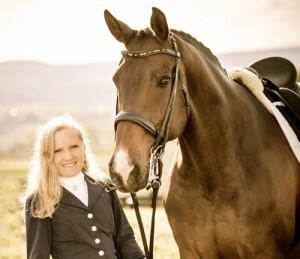 Utah horsewoman, Lara Oles, not only subscribes to the Eclectic Horseman magazine, she is a pretty eclectic rider herself. One weekend you may find her at an International dressage show in California on her Canadian Warmblood mare, Bella; another weekend she may be riding the rugged trails of Utah’s Uinta Mountains on her Tennessee Walking Horse gelding, Strider; and the next weekend you may find her in Las Vegas showing her friend’s AQHA reining horse, Hollywood Aces. Oles does all this with a completely paralyzed right arm, and partially paralyzed right leg from a skiing-induced spinal cord injury. In fact, 2015 was a particularly good year for Oles as she earned Top Ten scores at the United States Para Dressage National Championships, as well as a Top Ten Buckle in the World Para Reining Championship Series. Next year she has set her sights on Nationals. 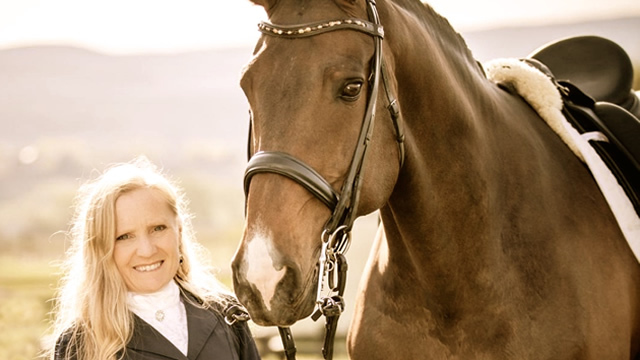 Five years ago Lara went to the World Equestrian Games to watch the Para Dressage competition, which inspired her to try dressage after a lifetime of trail riding. 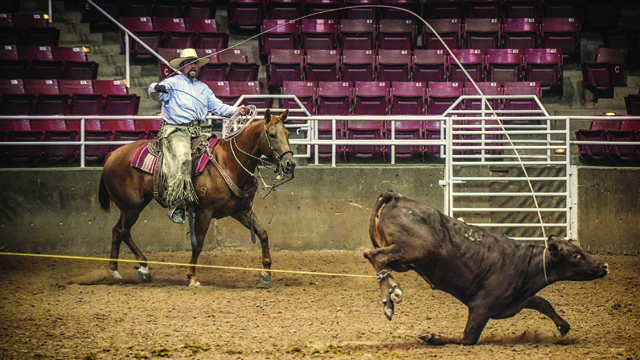 She spent a couple years at a therapeutic riding center, then decided to up her game and began training with Annie Sweet at Sage Creek Equestrian in Heber City, Utah. Sweet has been working with Jim Hicks for 8 years, and even though she teaches dressage lessons, her horsemanship principles are based on the spirit of Ray Hunt’s legacy. This combination felt like a calm teaching approach and made Sweet the perfect coach for Oles on her Paralympic journey. Lara adds, “Watching the National Reining Horse Association Futurity online, I was struck by how similar the commentators’ observations were to commentators at a dressage show. 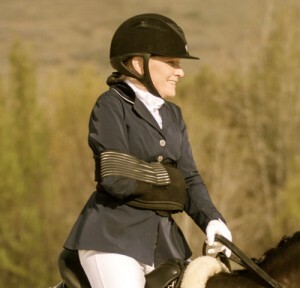 For example, they talked about how the horse should be moving with freedom, maintain a steady rhythm/speed, look slightly inside on the circle, remain relaxed while doing work, and feel he is enjoying his job.” To Lara this all comes down to good horsemanship, even if it is not ever stated that way by the commentators. Oles is currently rated one of the nation’s top ten Para Equestrians, and is working for the possibility of going to Nationals and then onto the World Equestrian Games.